Sports fans have seen their heroes making the most beautiful goals and breaking records on the screen for years. The love for the sport and associated content has not changed over the years. On the other hand, the expectations of fans about how they are involved in the (live) sport and how they can express themselves are changing. New companies that activate content, have taken place on the stage and are growing much faster than the content creators such as traditional broadcasters. This shows a clear shift in how fans can experience live sports on new platforms compared to how sports are currently being offered by traditional broadcasters. How can broadcasters and leagues take advantage of this shift by using new technologies to offer fans more social interactions and direct influence in the game? Below are a number of examples of current possibilities and our vision for the future regarding fan engagement during live sports. The starting point for this is to try to increase the interaction possibilities between fans and involvement with the product. An example of increasing the involvement and social interaction between fans can come from overlays. Companies that offer overlays for Twitch, for example, are numerous. This is because it improves the experience of the viewer. An overlay can be integrated with live images. 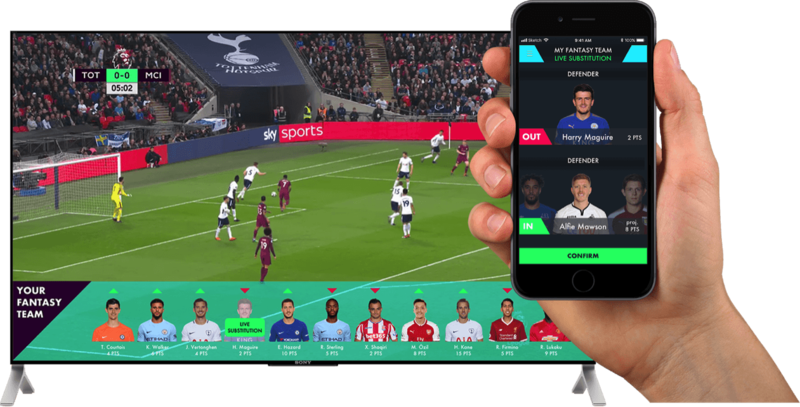 Which applications could be bundled and how would this look like for sports broadcasters? 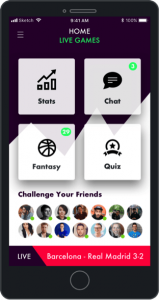 Gameday, a startup from Y-combinator, focuses on the integration of fantasy sports in Facebook Messenger. This too has integration possibilities through a gaming overlay. Playing quizzes to engage audiences is not new. But playing a live quiz event against others and winning great prizes makes the HQ Trivia a big success in the US. 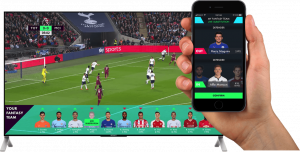 Playing a live quiz where the questions come on your mobile and pop-ups in the screen or chatting with your friends can be very engaging and it has not been implemented during live sports broadcasts. Think about the possibilities the hugely popular HQ Trivia or Zender offer during a six hour cycling stage in the Tour de France. Choose which stats you want to see live on your screen during the match. Want to follow a specific player or see general stats? The time to market of data can reduce drastically through new technologies and cameras that have been developed. An example of this is cooperation between SAS and Sci-Sports in football. By using these overlays there are also many other possibilities for gaining revenue, think of betting, sponsoring etc … This is what Geoff Reiss, GM of Yahoo Sports explains in his podcast how we consume sports in the future. A good example of a success story where fans are directly involved in the product (competition) is formula E. Fans have a direct influence on the result by voting which rider can use the so-called “fanboost”. A way to stay active both on social during non-racing days and to stay involved with the product. Striking is the growth of 13-17 years with the sport. Does this increasingly demanding group set the standard for what can be expected from broadcasters and leagues? This “new” way of engagement is in line with the new digital strategy of the FIA which already started its own OTT platform for Formula 1. The final phase we will see in the “near” future is the phase where fans have a direct influence in the game, during the game. 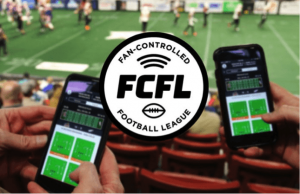 An example of what awaits us is the fan-controlled football league in the US. 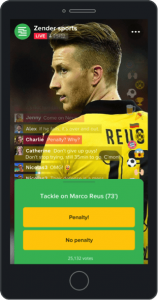 Here fans can determine their tactics from home, via mobile apps, which will be performed on the field by the players. Crazy, yes crazy, of course the American sport lends itself perfectly for this, but it shows once more how far we can go in our ability to involve fans in the product. It was of course no surprise when it became known that not a “traditional” broadcaster but Twitch had bought the rights for these games for the seasons 2019 and 2020.